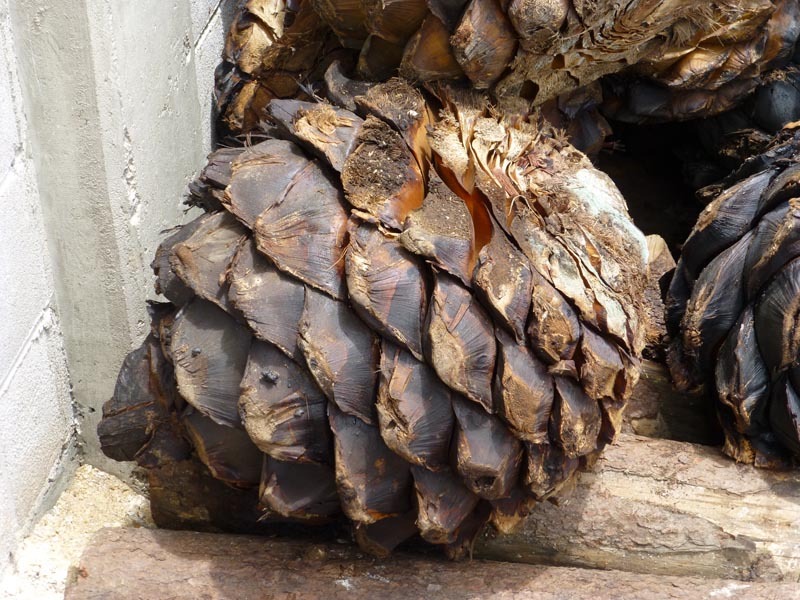 Plants store energy in the form of starch because starch resists diseases. 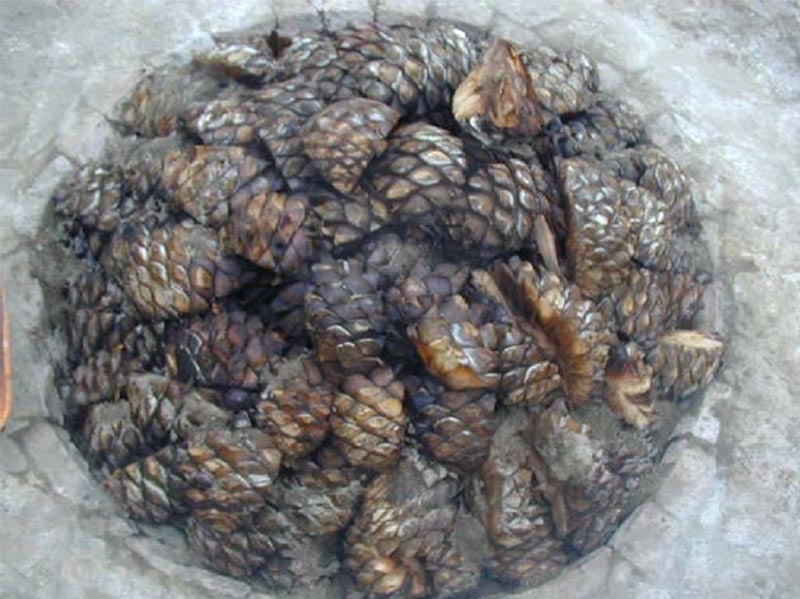 Starch is a polymer of glucose sugar, and roasting agaves converts their starch into the simple sugars that yeast can ferment into alcohol. 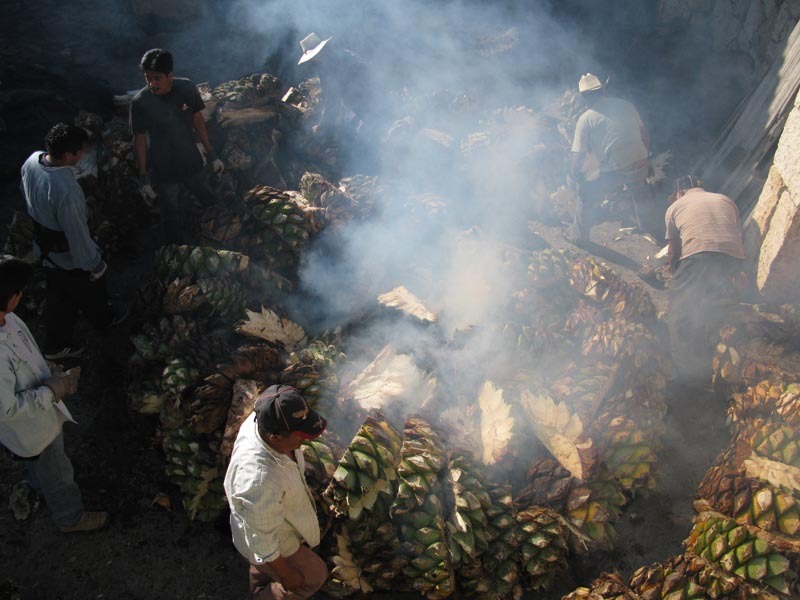 Roasting is when artisanal distillers blend agaves. What you get in the bottle is always what came off the still. 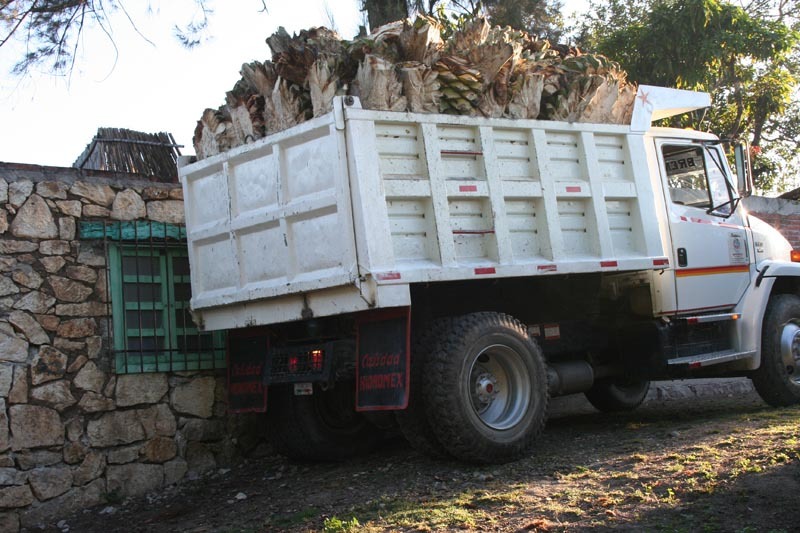 About 7 tons of agave espadín, already halved for easier handling. 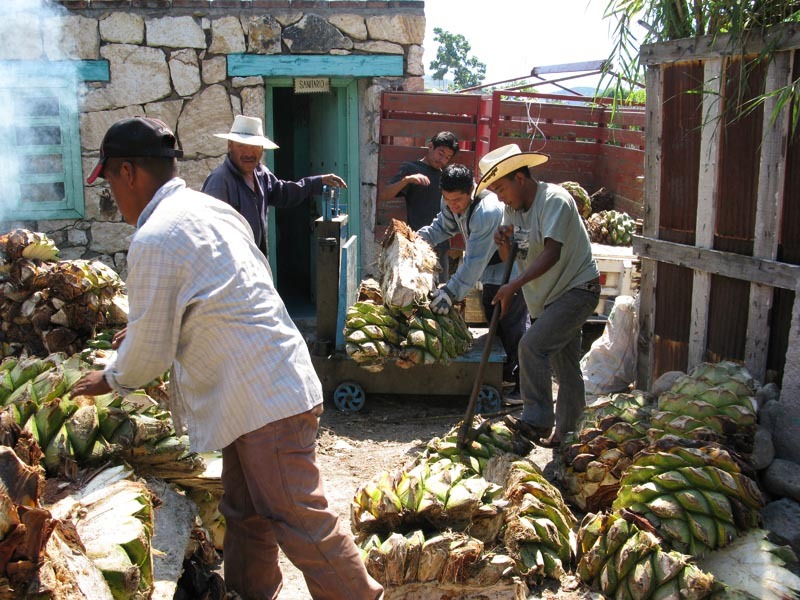 Weighing the agaves. This is part of reporting to the government. 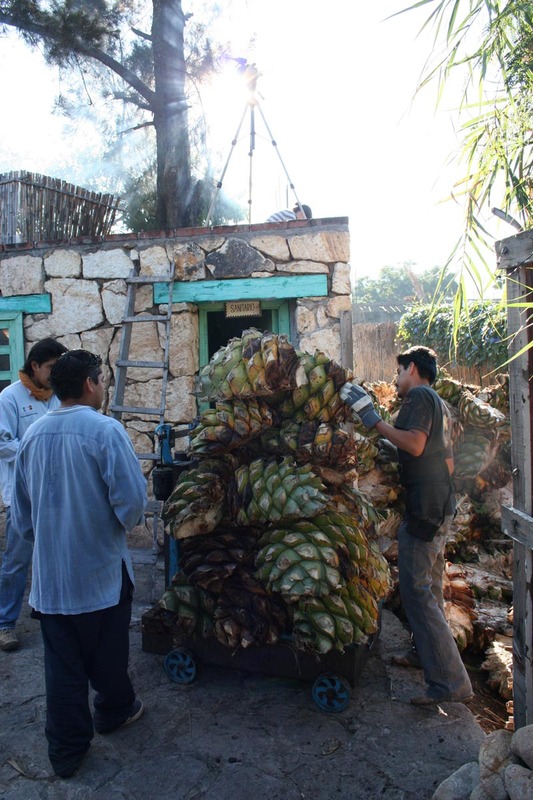 The man on the right is splitting agaves with an axe. Wood for the fire, here mostly mesquite. What wood to use is an individual preference. 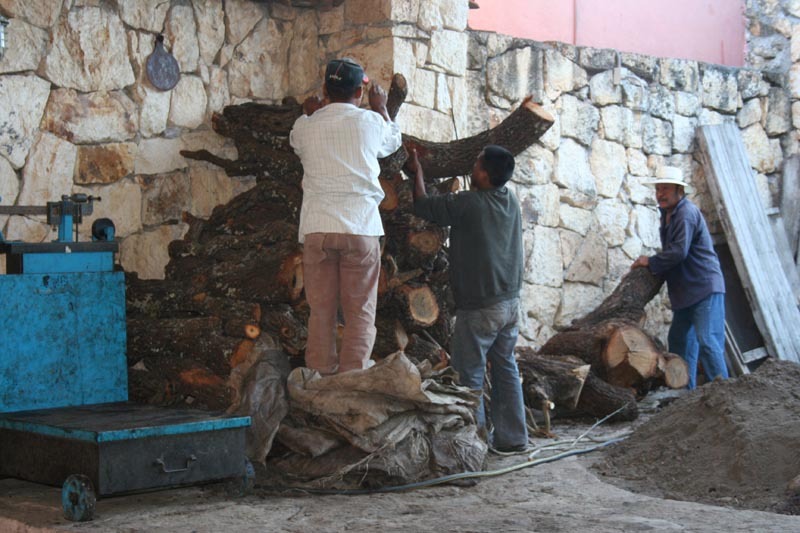 Once the fire is going, rocks are put on top of the logs. 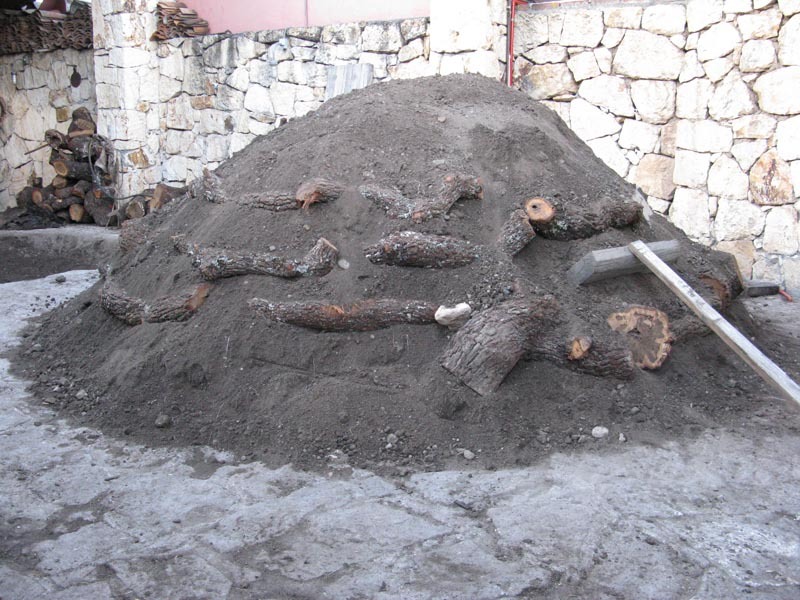 The fibers (bagasso) left over from prior distillation are used to cover the rocks. 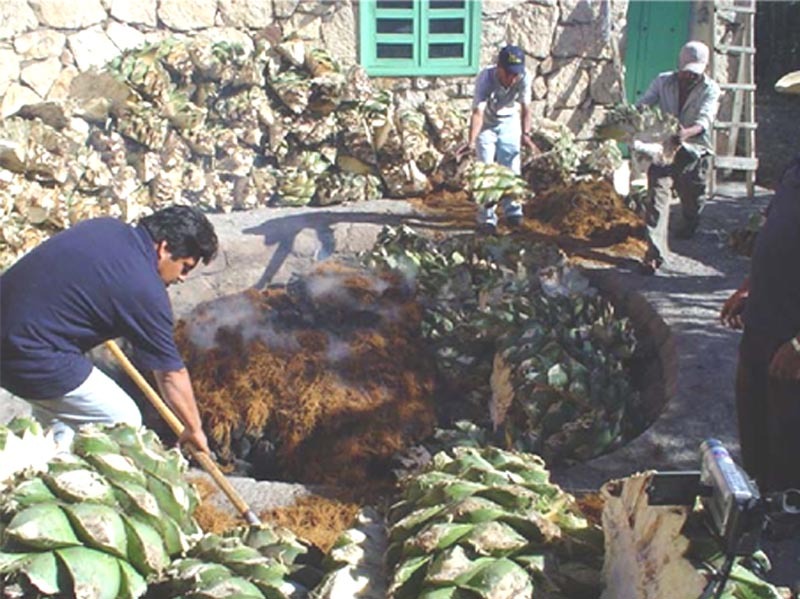 Meanwhile, the cut-up agaves are stacked around the fire-pit. 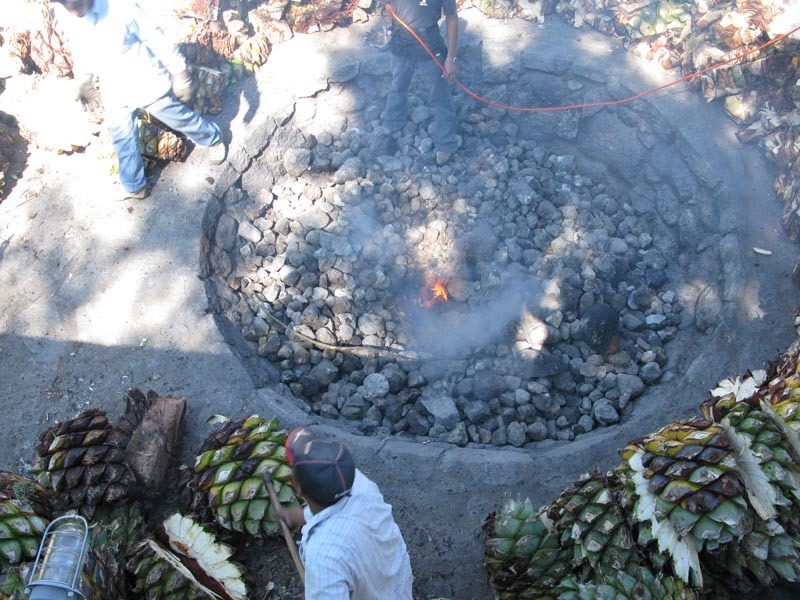 When the fire is reduced to mostly coals, the agaves are mounded over the hot rock. 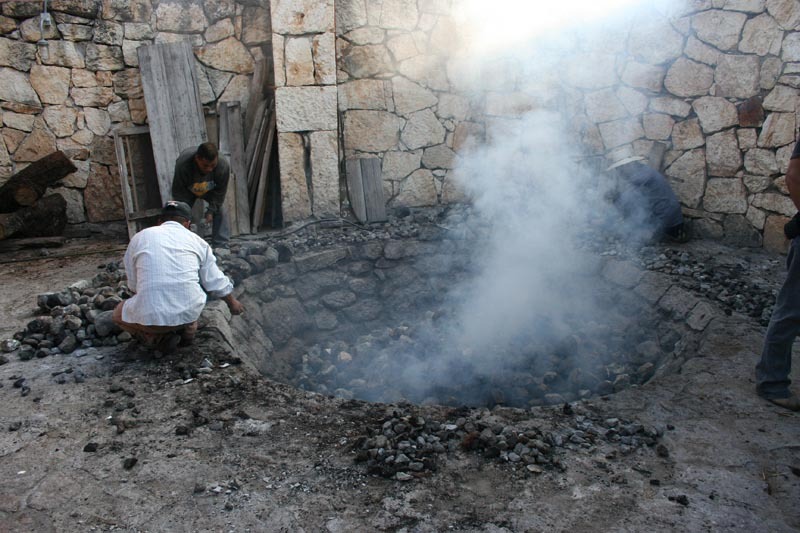 The mound is built very carefully for even roasting. 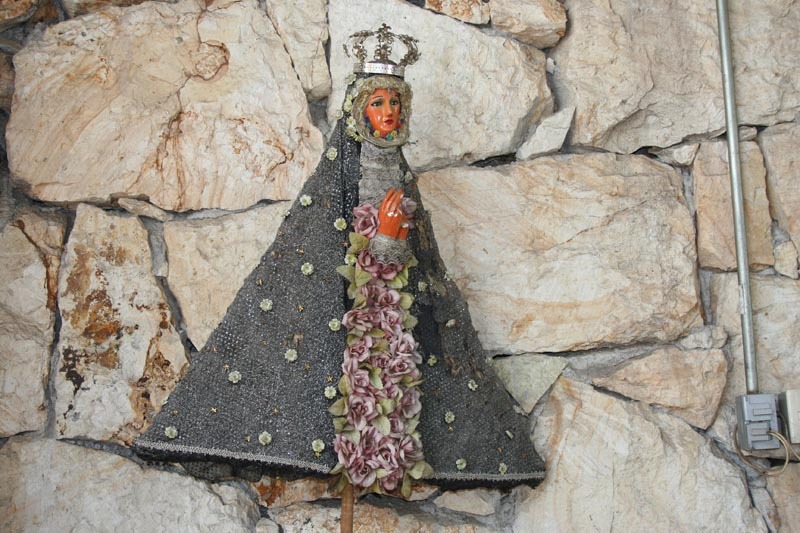 The agaves are covered by a wet canvas tarp. Sand is mounded over the tarp, sealing in the heat. 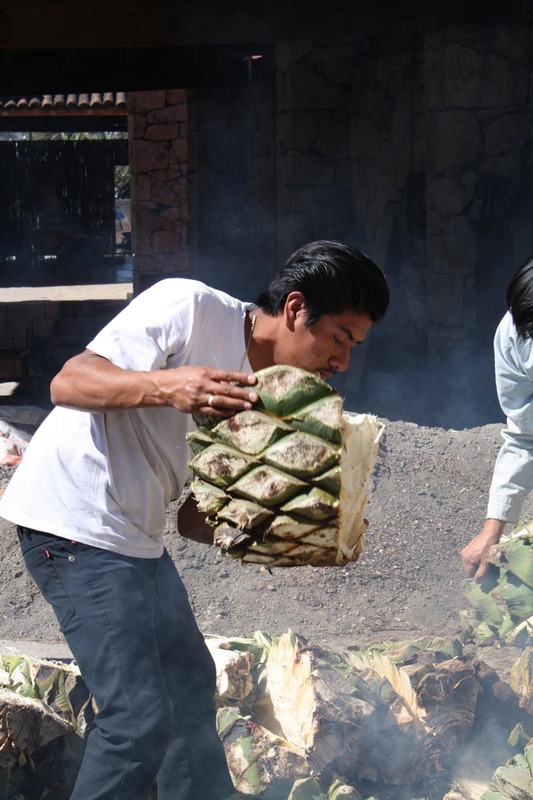 The agaves roast inside for 2-3 days. 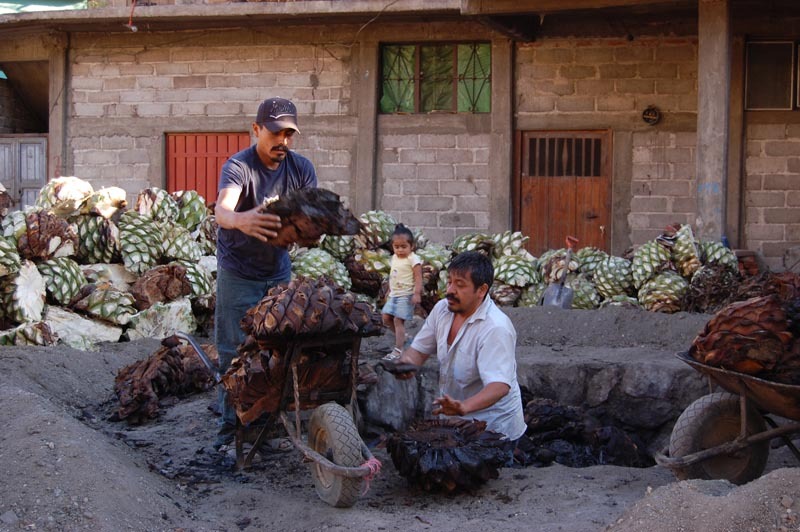 When the agaves have cooled down, they are moved to the milling area to be chopped up.